Since FOSJOAS rolled out the first balancing electric unicycle, this brand has received a lot of attention so far. By now it has accumulated a large number of users. In order to provide more convenience for users, the transport is designed to be rather user-friendly and easy to operate. Plus, there are many videos about the way of steering the vehicle on the Internet. Riding such a vehicle is supposed to be rather easy. However, it is still of necessity to elaborate how to properly steer the self-balancing scooter, especially for the new users, which will further help them master the transport then. To begin with, when users receive the intelligent self-balancing scooter, they should go through the user manual carefully before having a ride for the sake of safety. After that, since they have never ridden such a single-wheeled vehicle, they should find an open place where there are few people passing by. In this way, it will prevent them from bumping into others because they are rookie riders. What's more, they had better put on the protective gadgets like knee-caps, gloves and helmets, which will better guarantee their safety. Subsequent to sufficient preparations, riders shall put one of their feet on the standing board, give a pushback and then place the other foot on the board. Then they have to slightly lean forward so the vehicle will march forward then. 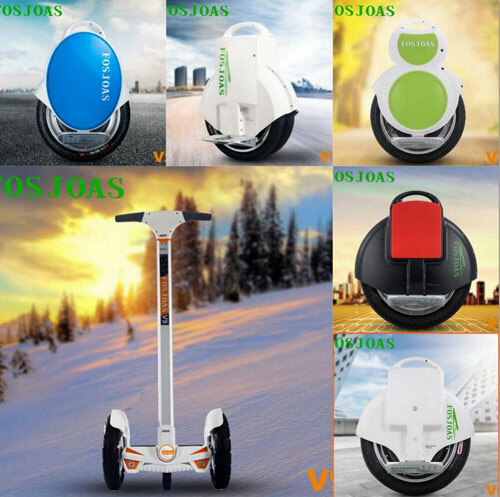 Since FOSJOAS electric self-balancing scooter is equipped with built-in intelligent chip that enables the vehicle to achieve self-balancing according to the principle of gyroscope system, it is controlled via the riders' adjustment of gravity center. When they lean forward, the transport will go forward; when they lean backward, the transport will slow down or stop. The highest speed could be 18 miles per hour. With proper learning method, the new riders can master the vehicle within 5 minutes. It is rather important to know how to steer FOSJOAS electric self-balancing unicycle in a proper way so that the riders can have a safe ride for sure.